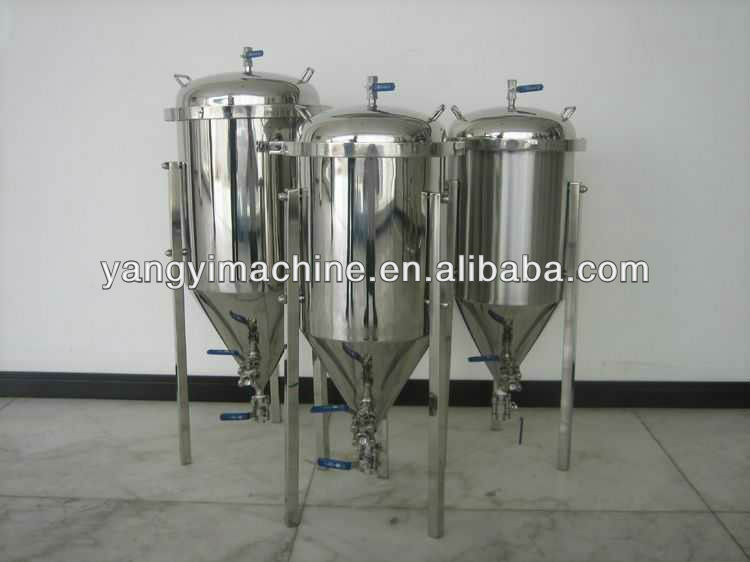 Fermenter/Kettle/Liquor tank/Brite tank/Mash tun - micro beer ferment tanks/beer fermentation tanks - Wenzhou Yayi Light Industrial Machinery Co., Ltd.
All stainless (304), including the legs and stands. Dimensions: 40" h x 17.5" w.
Your drawings and special requirements are welcomed. If you have any enquiry about quotation or cooperation, please feel free to email us at ceo@wenzhouyangyi.com or use the following enquiry form. Our sales representative will contact you within 24 hours. Thank you for your interest in our products. Wenzhou Yayi Light Industrial Machinery Co., Ltd. Copyright © 2013 Wenzhou Yayi Light Industrial Machinery Co., Ltd.